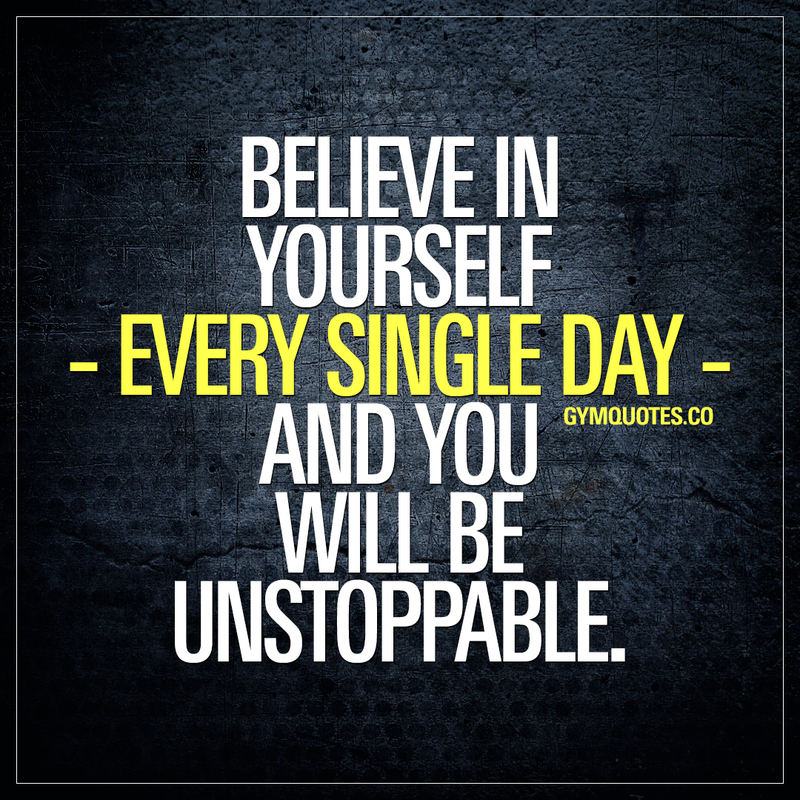 Gym quotes: Believe in yourself - every single day - and you will be unstoppable. Believe in yourself – every single day – and you will be unstoppable. It’s all achievable. By doing one single thing: believing in yourself. Do that. Every single day. And chase your goals and you will TRULY be unstoppable. If you like this believe in yourself quote then share it with someone you want to inspire! Also, do not forget to sign up to our FREE newsletter. It’s 100% FREE and awesome.